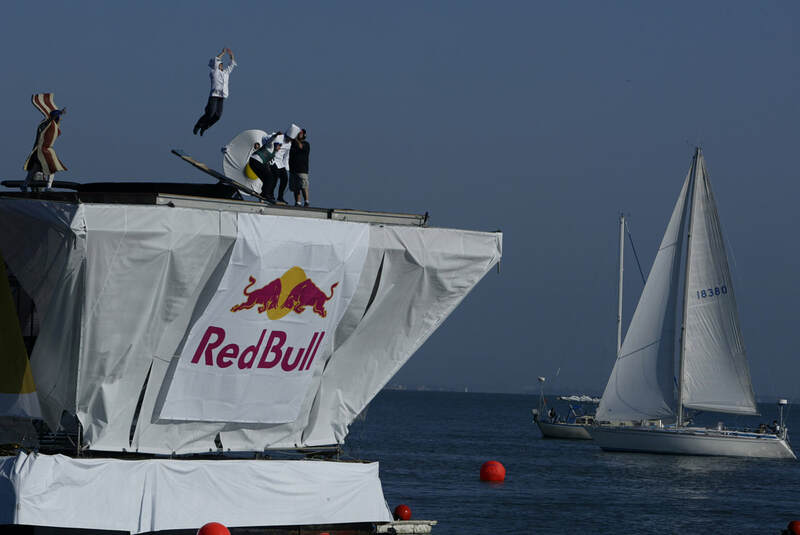 For it's inaugural Flügtag event in the U.S., Red Bull challenged contestants to create a wacky flying machine to be launched from a pier and, inevitably, into the San Francisco Bay. 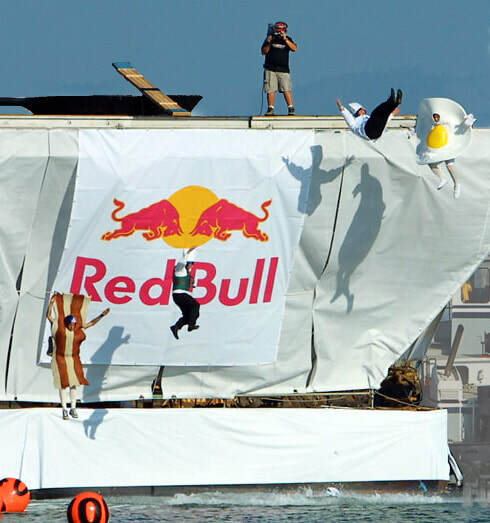 After all, the emphasis was on "wacky" not so much "flying." So of course, collaborator David Minkoff and I answered the call. 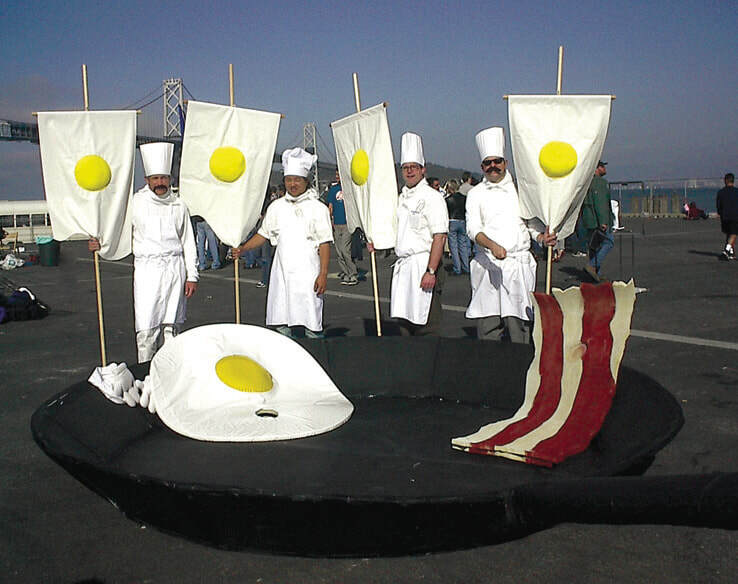 Our entry, Over Easy / I Am The Eggman, featured an enormous Bacon (David) and Egg (yours truly) presiding over the launch of a chef from an oversized frying pan by way of—what else? 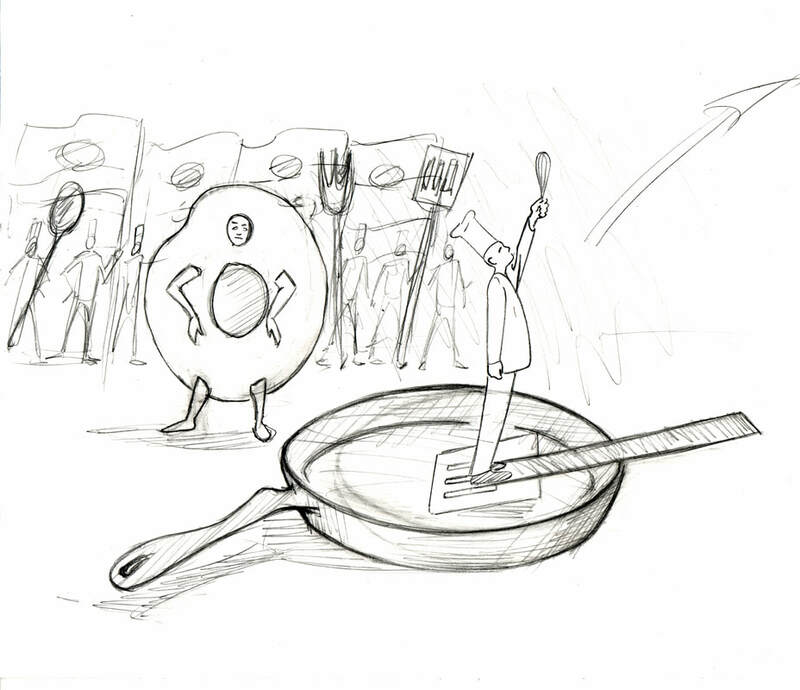 — a giant spatula. 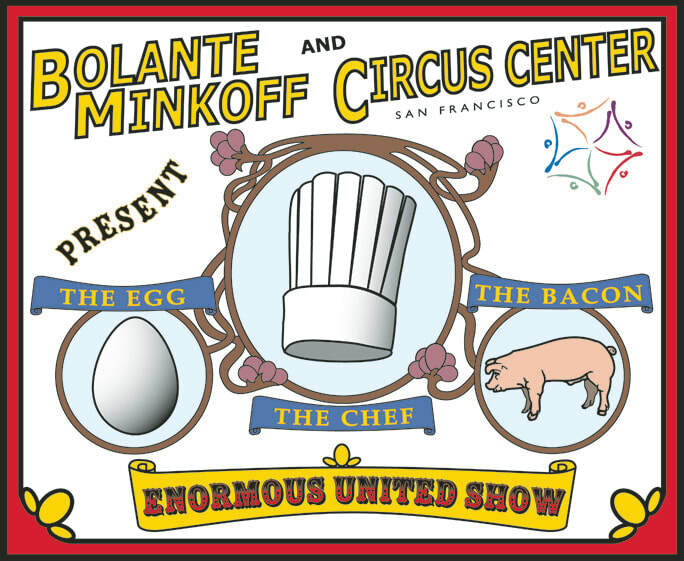 To pull it off, we recruited help from the The Circus Center of San Francisco. 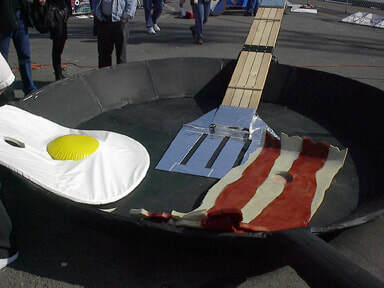 Though the grand prize was offered for greatest distance, we aimed for maximum spectacle. 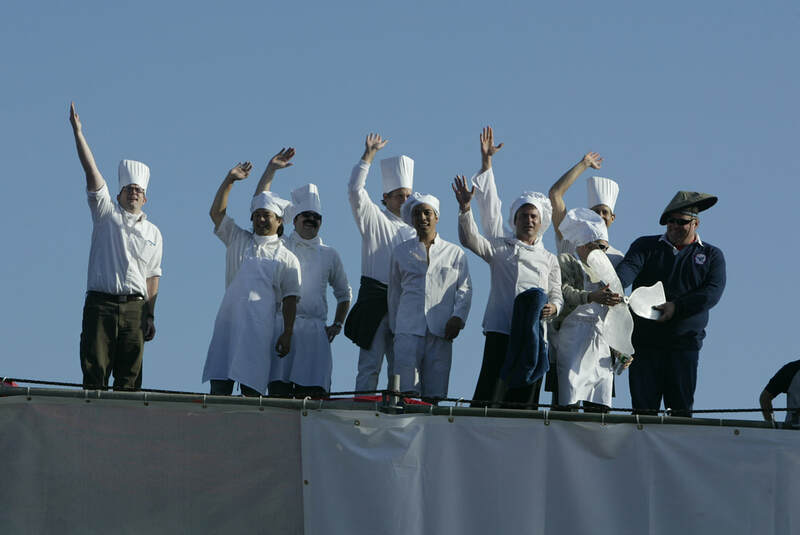 With the help of a cadre of chefs, we made our presence at the event just as fun as the launch itself. We were rewarded with the previously unannounced prize for "Most Creative," which included a cash reward and magnificent trophy: an engraved propeller commemorating our accomplishment.